It’s acronym time boys and girls! Before we get to the fun part of configuring the shared storage in Part 9, we need setup a few more slightly less fun items. 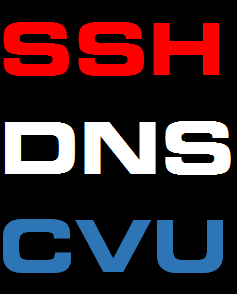 Secure Shell or SSH and Domain Name System or DNS. After that we take the thrill ride of running the Cluster Verification Utility or CVU for the first time. This stuff is pretty simple, so let’s crack on. Task #3: Run the CVU. The RAC node from where you install the Grid Infrastructure and Oracle Database software effectively becomes the node from which you perform ALL subsequent installs. Hence, the software only needs to reside on that one server and is copied from that server to all the other nodes in the cluster as part of the installation process. Consequently, this node needs remote access to the same user account on all the other nodes without being prompted for a password. User equivalency is effectively the setup of identical user accounts on all nodes. Identical means the same username, UID, GIDs and password. The accounts which require user equivalency are oracle and grid. The installation of the Grid Infrastructure and database software can setup SSH for you, but you’ll need SSH configured before you get to that stage in order for the CVU to weave its magic on remote nodes. That’s why we’re setting it up ahead of the software installs. There are 8 steps in total. Task #1, Step #1/8: Login as oracle and create an ssh directory (all nodes). Task #1, Step #2/8: Generate RSA Keys (all nodes). Task #1, Step #3/8: Generate DSA Keys (all nodes). Task #1, Step #4/8: Create the authorized_keys file (all nodes). Task #1, Step #5/8: Capture Key Fingerprints to the authorized_keys file (first node). First, ssh into the node you’re logged into and capture the output to authorized_keys. The authenticity of host 'racnode1 (200.200.10.11)' can't be established. RSA key fingerprint is 35:a5:78:68:36:c3:c2:42:f5:df:da:5f:2c:56:2b:a7. Warning: Permanently added 'racnode1,200.200.10.11' (RSA) to the list of known hosts. Task #1, Step #6/8: Copy the authorized_keys file to every node. The authorized_keys file on the first node now contains all the data which all the other nodes need. Use scp to copy it to the other nodes. Task #1, Step #7/8: Secure the authorized_keys file (all nodes). Task #1, Step #8/8: Test passwordless connectivity both ways between all nodes. Once you have SSH setup (also known as “user equivalency”) for the oracle user, repeat the same 8 steps but this time for the grid user. For the most part you can get away with using /etc/hosts files to resolve hostnames. However, with the introduction of Single Client Access Name (SCAN) in Oracle Database 11g Release 2, things got a little more complicated. A cluster SCAN must now resolve to 3 IP addresses, so a /etc/hosts files won’t help. There is a ‘smoke and mirrors’ way to get a tweaked nslookup script to return 3 IP addresses, but why not just configure DNS properly? In a production environment, there would already be a dedicated DNS server, but in our environment using a whole VM just for DNS would be excessive to say the least. The smart way to go would be to use a server that’s used for something else and is always on. Top of the list is our Oracle Enterprise Manager Cloud Control server, oraemcc.mynet.com (IP: 200.200.10.16). It won’t mind and DNS won’t interfere with its other duties. Whenever I’ve asked a production Network Administrator to set this up for me, I’ve sometimes (not always) got the eye roll and look of exasperation. Like I’m asking them to split the atom or something. In truth, setting up DNS isn’t that difficult, but it is fiddly. One semi colon, bracket or period out of place and the whole thing doesn’t work and more infuriatingly, won’t tell you why. So, with your keenest eye on the prize, let’s configure DNS using these 7 steps. Task #2, Step #1/7: Install the bind package. Task #2, Step #2/7: Edit /etc/named.conf. The items which need to be edited are shown in red in this example /etc/named/conf file. Copy this file to your own system and make any necessary changes. When you edit your file be VERY CAREFUL with the double quotes and periods. Missing something seemingly so innocent will make you wish you hadn’t. Three important points about this file. The forwarders line is there so server names which are not on your internal network can still be resolved. These servers would likely be on the internet, so your ISP’s DNS servers handle those lookups instead. The zone “10.200.200.in-addr.arpa.” line is there to facilitate reverse lookups. The 10.200.200 part describes the first three octets of the IP address your DNS server is on, but in reverse order. Our DNS server has the IP address 200.200.10.16, hence 10.200.200. The ownership and file permissions are crucial. Get these wrong and DNS won’t startup. Task #2, Step #3/7: Create /var/named/mynet.com.zone file. The next step is to create your /var/named/mynet.com.zone file which will resolve hostnames on your domain, mynet.com. Task #2, Step #4/7: Create /var/named/10.200.200.in-addr.arpa file. This step creates the /var/named/10.200.200.in-addr.arpa file which does reverse lookups for addresses on the 200.200.10.x network. It’s not strictly necessary to implement reverse lookups, but since we’re in the neighborhood we may as well. The items which need to be edited are shown in red in this example /var/named/10.200.200.in-addr.arpa file. Copy this file to your own system and make any necessary changes. Again, ensure the file has the correct group and file permissions. Task #2, Step #5/7: Edit /etc/resolv.conf. It is important that is file be identical across all the RAC server nodes as it’s one of the things the CVU checks for. This is the file which Network Manager trashes each time networking starts up on a server. So it’s important that this file remain intact and consistent. Task #2, Step #6/7: Start the DNS service. Task #2, Step #7/7: Test DNS is working. We have configured DNS and have started the service, so now’s the time to make sure it actually works. The Cluster Verification Utility (CVU) script, runcluvfy.sh, is included with the 12c Grid Infrastructure software. You should have already downloaded and unzipped these files. If not, refer to this prior step. This will run the CVU, echo its output to the screen and copy the output to a file called cvu.out. The vast majority of the checks passed. Therefore, it only really makes sense to highlight the three which failed and more importantly what to do about them. Check: TCP connectivity of subnet "2002:4b49:1933::"
Result: TCP connectivity check failed for subnet "2002:4b49:1933::"
Failure #2: Network Time Protocol (NTP). Failure #3: Insufficient Swap Space. I originally built the racnodes with 4 GB of RAM, but things ran a bit slow so I upped the RAM to 6 GB. One of the great things about virtualization is the ability to add more resource to a VM through software. Assuming the resources are physically present and available. Note, Oracle VM cannot over allocate physical server memory. You can only allocate what you physically have available in the Oracle VM Server. Well, that about wraps it up for SSH, DNS and CVU. See you next time for all things shared storage in Part 9.